Molam is the country music of Laos and northeastern Thailand. In the 1970s, it was cross-fertilized with rock (especially of the psychedelic persuasion) and soul borne by ubiquitous American soldiers. Many Thais think molam is “taxi driver music” of and for the underclass, but some Western listeners (and to fair, plenty of Thais as well) are captivated. 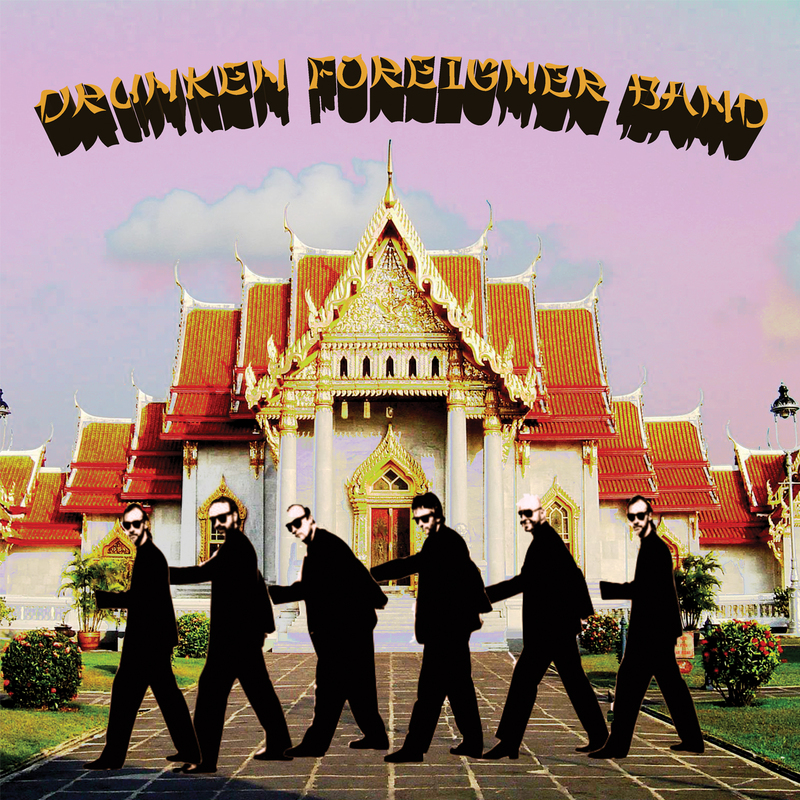 Count Drunken Foreigner Band among the latter. Its members come from a number of post-rock outfits that value improvisation, drones and sinuous melody: Dark Meat, Sunwatchers and Invisible Circle. 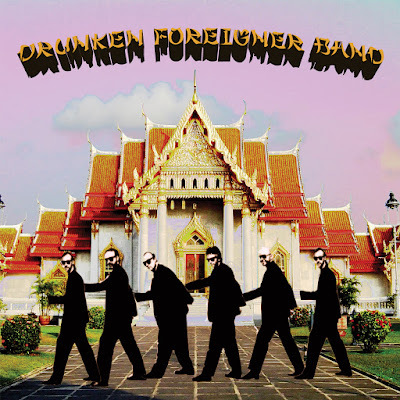 Despite their irreverent band name and album title, these guys are dead serious about the music that they’re playing, much of which they learned from cassettes that keyboard player Dave Kadden brought back from Asian travels. The lineup is a simple rock quartet: pounding drums (no snare or cymbals), pumping bass guitar and swirling keyboards; guitar is replaced by an electrified phin or Thai lute, played brilliantly by Jim McHugh. The longest songs, which allow for maximal hypnotic effect, are the best ones – track 1 is so compelling, one of the trippiest things you’ll hear this or any year.